"One day I'm going to learn how to fly, what will you be able to do"? "sssh don't wake the witch up"! "Rexy, I have an idea"
Loosely based on Hansel and Gretel, except this story involves a bright little girl named Maggie and a t-rex who really wants to learn how to roar. The show is very interactive and the audience get to tell the witch exactly what they think of her! 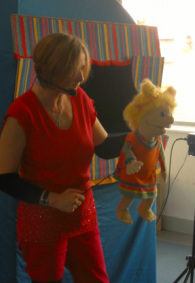 We also perform this show bilingually through English and Irish. 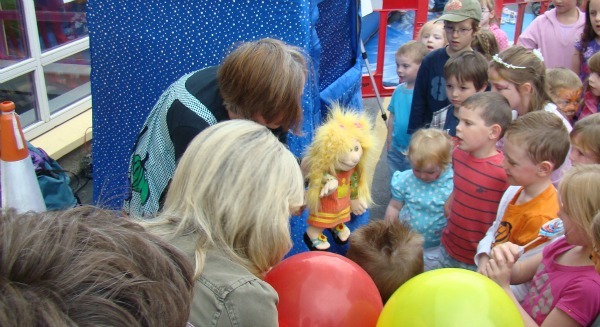 After the show we bring the puppets out to meet the audience. We get to discuss important topics such as what would you like to be when you grow up, compare superhero powers and who was the scariest character in the show. This is an opportunity where we can ask a question or make an announcement specific to the event organizers requirements. 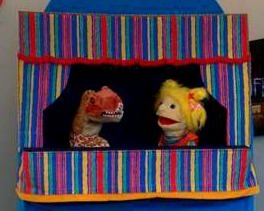 The show is performed from a portable Punch and Judy style booth so it can be used both indoor and outdoors (weather allowing). The audience sit on the ground in front of the booth. 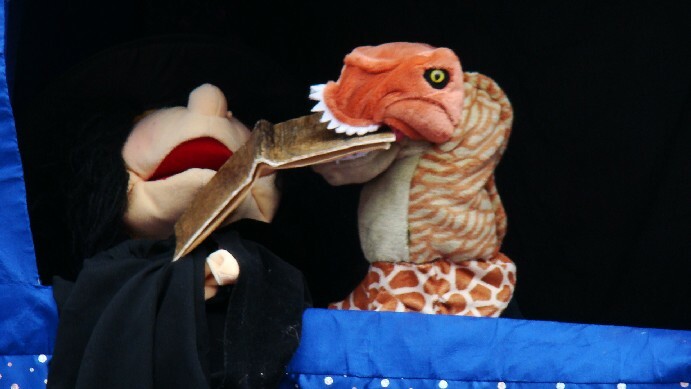 Book Our Show Call the puppet helpline for a friendly quote. We're more reasonable than you think! Riverfest, Party Time, Hullabloo Arts Festival, Boyle Arts Festival, Bundoran Lobster and Lettuce Festival, National Libraries, National Museum of Country Life Turlough House, Fleadh Cheoils, Heritage Festivals, National Schools, Community Fun days.